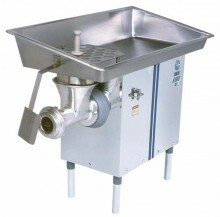 Successfully break down almost any meat with a durable, high quality Biro manual feed grinder. These reliable products are designed for butcher shops, delis, meat departments, and large restaurants. 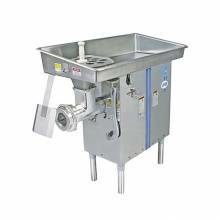 These meat grinders will provide your operation with maximum productivity, while giving your establishment the ability to customize and control the quality of the meat products you produce. Made with durable stainless steel and cast iron, the bowl assembly and feed tray can be easily removed, to make cleaning a quick and easy process. 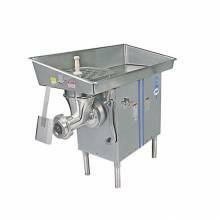 With a wide selection of feed pan capacities, choose the type and sized meat grinder that will be most beneficial for your establishment. Ensure that you have the proper machine plates for your operation, to get the size of meat required for your establishment. 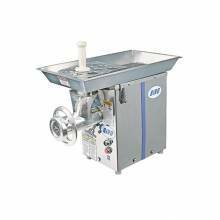 Biro Meat Grinders available in 1HP, 2HP, 3HP, 5HP, and 10HP, for any sized operation. 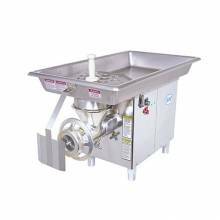 With each model featuring varying horsepowers, capacities, and overall size, choose the meat grinder that will benefit your establishment while also fitting best into the space provided. Dealing with frozen meat? 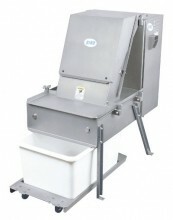 Biro’s Frozen Block Chipper can chip a 60lb block in less than a minute! Save monumentally on labour costs and manpower by utilizing this machine. Maintain quality control and decrease product loss, while also extending the product’s case life.